Are You Hearing Mice in the House At Night? 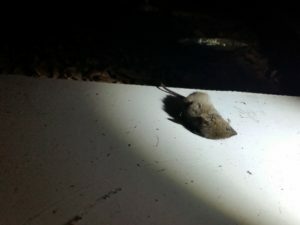 If you hear some scratching and noise during the night when all else is quiet, it could mean you have the problem of mice in the house that needs to be dealt with! Mice might be tiny but they can be surprisingly destructive to a home, and it’s important to get on top of the problem quickly! Mice can eat through your cables, get into your possessions, and create mess and unpleasant smells in your home. They also multiply quickly, and you should get on top of a mouse infestation quickly before it gets any worse! Mice can also spread disease to humans, making them unhygienic and unsafe visitors to have inside your house. To get rid of mice, you could try putting out traps. For a small infestation this might be a good solution. When traps are used property they provide a cheap and humane method of mouse catching. You should set the traps with baits such as chocolate, nuts or oatmeal, and place them at intervals along the areas that the mice travel (usually along a wall). Old-fashioned snap-traps are the least expensive, while electronic rodent traps might be good for people who are squeamish about seeing or handling dead mice. However electronic traps are going to cost you a lot more. Baits are another option, but they have some shortcomings. Apart from being not the most humane method, animals will generally ingest them and then hide away. This means that when they die from the poison you have no way of knowing where they are, and you might end up with a pretty nasty smell in your house. Baits could also be hazardous if you have pets or young children, and if left outside they could be eaten by wildlife. The best way to prevent a mouse infestation is to remove their sources of water and food, and to take steps to prevent their entry into the building. This means not leaving pet food and water out overnight, sealing up your rubbish bins, keeping your pantry food in sealed containers, and getting rid of food scraps. You should also check hidden places where food might have fallen. It’s also a good idea to work out how they are getting inside in the first place. Once you’ve done this you might need to seal up some gaps in your building.